Scott-Clark Medical is the new leader in efficiency and cost-savings point-of-care access. From medication storage and barcode documented delivery to registration and vital signs capture and rounding, Scott-Clark carts are configured to meet the task and maximize workflow efficiency. A medical storage cart with drawers is an essential piece of equipment to store and transport medications within your facility. They can also organize and secure supplies so that they are always ready when you need them. 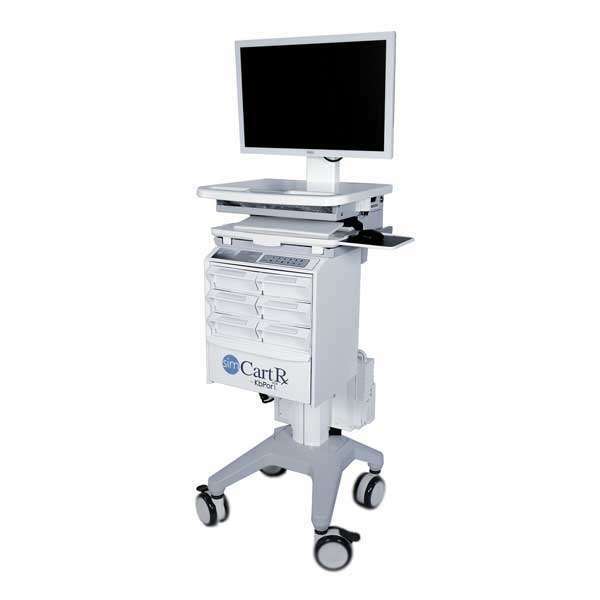 The carts provide the user with easy accessibility and ease of use, ultimately improve the efficiency of your workplace, thereby resulting in better outcomes for patients. Choosing a medical storage cart with drawers from Scott-Clark Medical will benefit your team regardless if you use it for emergency situations, anesthesia procedures or storing medication charts. The quality of our medical storage carts will prove to add value to your healthcare facility for many years to come. However, many drawers you require, we can offer medical storage carts to suit your needs. 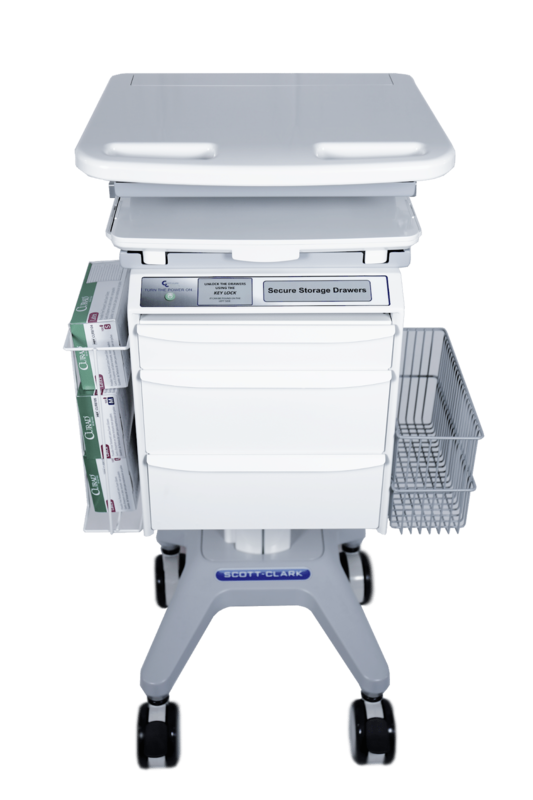 A medical storage cart with drawers is both practical and durable for nearly any situation. There are many ways to use and configure them. Additional features are available to add to our medical storage carts including computers or monitors, security and storage solutions, workstation options, peripheral, vital and power applications. We also offer custom medical carts, giving you limitless possibilities on creating a medical storage cart unit to suit your needs. With one frame and endless configurations, our high-performance medical carts will always match your workflow. The team at Scott-Clark Medical has over 20 years’ experience completing hospital retrofit projects. Our technicians will do a refurbishment or retrofit on site with minimal disruption to your team. We aim to continue providing solutions to the healthcare industry that promote quality of care, efficiency within a team and allow you to work confidently at the point-of-care. Learn more about what the Scott-Clark Medical Team can do for you.